Marking its nine year anniversary, DealerRater® achieves unprecedented growth of its registered user consumer base and number of car dealer reviews to reach 200,000 reviews in 2010, demonstrating the increased significance third-party reviews have for consumers when researching and selecting a car dealership. WALTHAM, Mass. – December 13, 2010 – DealerRater®, the world’s premier car dealer review website, announced today record growth in both its consumer membership and number of car dealer reviews, marking the company’s 200,000th review. Reviews posted by consumer members jumped more than 100% in just 11 months, enabling DealerRater to attain such an important milestone, which also coincides with its nine year anniversary. “We are delighted to reach the 200,000th review mark. This figure signifies record growth for DealerRater in that we celebrated 100,000 user reviews entering our eighth year of business and now have doubled the number of reviews in the past 11 months alone", said Chip Grueter, president of DealerRater. “It is even more meaningful that the actual review that got us to this milestone was a positive review on one of our Certified Dealers, Toyota West,” added Grueter. 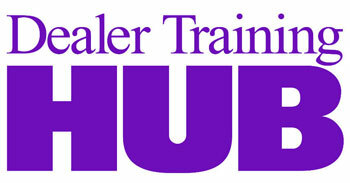 DealerRater’s registered user base has more than doubled for two consecutive years, increasing to over 190,000 users in 2010. With a growing network of registered users and an average of 250,000 unique visitors each month, DealerRater provides car dealers with access to an ever expanding market of potential customers who place importance on quality sales and service. DealerRater was founded in 2002 as the first car dealer review website worldwide. With more than 250,000 people joining the DealerRater user community each month, DealerRater is fast becoming the world’s #1 online resource for anyone seeking third-party information on automobile dealerships. DealerRater features more than 30,000 US and International car dealers, 200,000 user reviews and over 1,000,000 classified ads. DealerRater attracts more than 3 million consumers every year who visit the site to search for car dealerships, read current reviews, write their own descriptive reviews, and find car deals – all for free. Car dealers are rated on the criteria of customer service, quality of work, friendliness, price and overall experience. In addition, DealerRater offers qualified car dealers a Certified Dealer Program as a reputation management tool to help them grow their online presence and achieve higher SEO rankings across the Web. For more information, visit www.DealerRater.com or call 800-266-9455.